Buying social is about using your money, as an individual or an organisation, to create a positive impact on the world we live in. When you buy from a social enterprise you are choosing to spend your money with a business that is giving something back, reinvesting their profits to address the most pressing issues, from homelessness and unemployment to ethical trade and climate change. At Fuse, we try and use fellow social enterprises in our supply chain where possible. In fact, our annual management of the UK Social Enterprise Awards, is achieved with a 100% social enterprise supply chain. 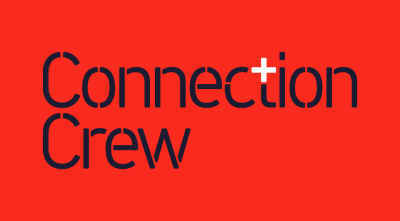 Connection Crew is an award-winning crewing company working with event organisers to support the setup and delivery of events. Connection Crew works with people who’ve been homeless in the past, providing training and helping them build a career. In 13 years it has employed 212 people ex-homeless people to complete over 100,000 hours of work. 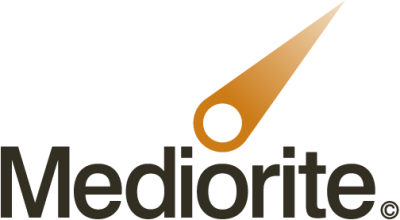 Mediorite have over 10 years’ experience in producing films that look good and do good. Whatever the project, they go the extra mile to meet market-leading corporate and charity clients’ briefs. Every job creates paid work for trained young people. This gives them industry experience, whilst offering a young and fresh perspective on film. Clink Events not only offers high quality catering for private events but gives businesses and individuals the chance to contribute to and build their corporate social responsibility. Food is prepared by serving prisoners in a central production kitchen unit at HMP Downview in Surrey and delivered to events in refrigerated vehicles. Clink Events works in partnership with other like-minded social enterprises such as Centrepoint – the UK’s leading charity for homeless young people – to staff event. Service staff, made up of graduates of The Clinks’ training scheme and young disadvantaged people, are given intensive training and support in order to achieve a City and Guilds Level 1 NVQ in Hospitality. This education and work-based experience equips them with self-confidence along with the skills and ability to serve guests efficiently and professionally. By eating and drinking at Brigade you will have played a part in making a real difference to our apprentices and trainees, ensuring a future out of homelessness. In addition to their bistro on near London Bridge, Head Chef and Founder, Simon Boyle, along with is team of staff and apprentices can provide outstanding event catering services. Start Creative is a social enterprise that strives to ensure that the natural resources of this country are sustainably managed for use in design, manufacture and sale of handcrafted items. They offer employment, work experience and volunteer opportunities for members of disadvantaged communities, whilst positively promoting the issues of social exclusion. Through design and construction of buildings, kitchen ware, art installations and environmental regeneration their beneficiaries improve their wellbeing, raise their aspirations and build their confidence. Designs in Mind is a studio open to everyone. Together they are finding ways to live life and challenge mental health stigma. They create high quality ambitious and experimental art & design work and support each other to make independent ambition a reality. They make event awards, sculptural pieces and art work for walls. The Champion Agency are an Award-winning creative agency and social enterprise championing young creative talent. Combining raw talent with proven industry experience, they create advertising, design and identity that effectively impacts brand and bottom line. The DTP Print Group enjoys giving you creative and compelling solutions for your print and marketing projects born from wide ranging experience and technical know-how that gives you the best return. DTP delivers training and start-up programmes in Zambia through its partner: The Africa Enterprise Trust. TGPC is a print company with a difference. Doing business for the force of good and delivering great products and prices with the added value of making a difference in the community, supporting projects and helping to make a positive change to other people’s lives. The Good Printing Company provide high quality roller banners from as little as £59.00+vat as well as Feather Flags and exhibition pop up stands. Their range of services have been further extended to include printed stationery such as: business cards, flyers, folded leaflets, posters and much more. Toast Ale - Did you know 44% of bread is wasted in the UK? Toast Ale has launched a pint-sized fight to prove that the alternative to food waste is delicious. They brew delicious craft beer with surplus fresh bread that would otherwise be wasted and gives all profits to charity to fight food waste. Belu started with a simple idea, that there was a better way to do business. With a social and environmental mission, Belu offers the UK Hospitality Industry the most ethical choice in water service from bottled mineral water, filtration systems, refillable bottles and carafes. Belu champions the environmental benchmark in their sector and gives 100% of its profits to WaterAid to help reach the 884 million people living without clean water worldwide. To date that’s £3M transforming over 200,000 lives with clean water, decent toilets and good hygiene. Miss Macaroon's premium hand-made gluten-free French macaroons are perfect for branded gifts. They're the only patisserie in the world to be able to Pantone match macaroons exactly to your brand colours. Indulgence is also a virtue at Miss Macaroon as they reinvest all of profits in training and employing long term unemployed young people in retail and catering. They're changing the world one macaroon at a time, thanks for joining us! 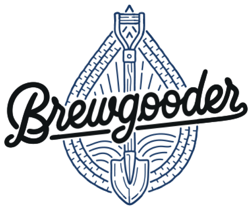 Brewgooder is the craft beer at war with water poverty by using their profits to bring 1,000,000 people clean drinking water. Founded on World Water Day 2016, they’ve helped bring 40,000 people clean drinking water in Malawi with their flagship beer, Clean Water Lager. Crisp. Zesty. Lifesaving.